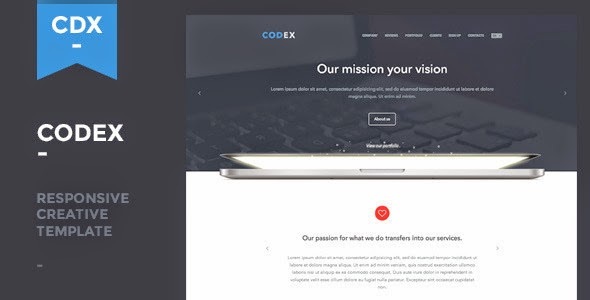 Codex – HTML5 one page template for creative company or personal website. It’s fully responsive and looks great on a wide range of devices, from desktop screen and notebooks to smartphones and tablets. Item Reviewed: Codex - Responsive Creative One Page Template 9 out of 10 based on 10 ratings. 9 user reviews.